I am a very limited knitter. I can only do garter and purl stitches although I have recently learnt how to do yarn-overs so, I can now do very basic lace patterns. 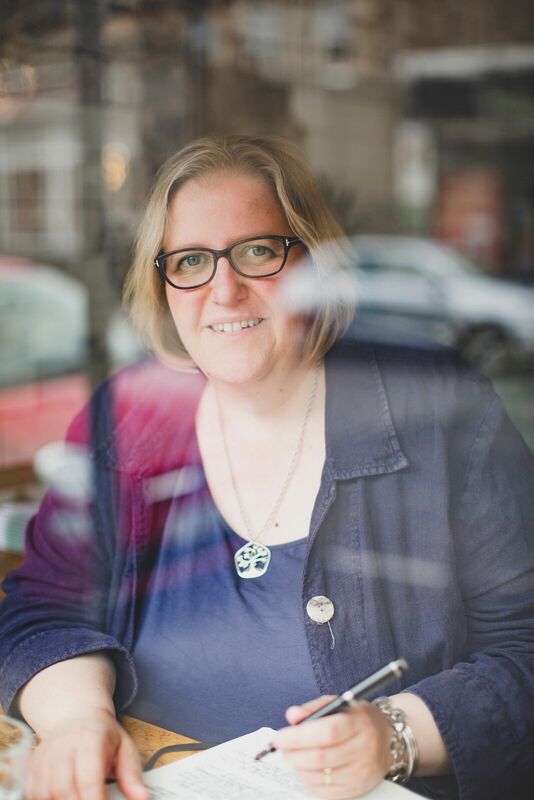 My dear friend Catriona Gunn is determined that I should move on from scarves and I suppose I could try wrist-warmers seeing as the moth got to my black cashmere ones. But in the meantime, I knit scarves – not just your standard rectangles mind you; I am a fan of the Baktus and the Lacy Baktus and triangular scarves such as those are good because your yarn goes further and that means that one skein is usually sufficient. 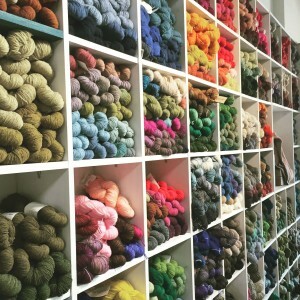 And that means that if you love beautiful yarn as I do, you can justify the cost of hand-dyed, merino and alpaca and cashmere fibres, produced in small quantities. Artisan yarn if you will. 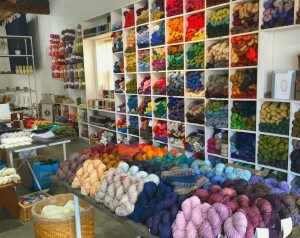 And so I love a good yarn shop – the best have good quality basics and a wide range of less common delights. Edinburgh is surprisingly limited in yarn shops, especially given the huge crowds at Edinburgh Yarn Festival in the spring. I like Be Inspired Fibres and Ginger Twist has some interesting yarn but both are small and thus limited in their range. I’m looking forward to going to Imagiknit in the Castro neighbourhood when we’re in San Francisco proper next week because it’s been recommended by so many, but yesterday we took the car out for the first time and went to A Verb For Keeping Warm in Oakland. Before I go on, that is the best name for a yarn shop that I’ve ever come across. It was utter heaven. 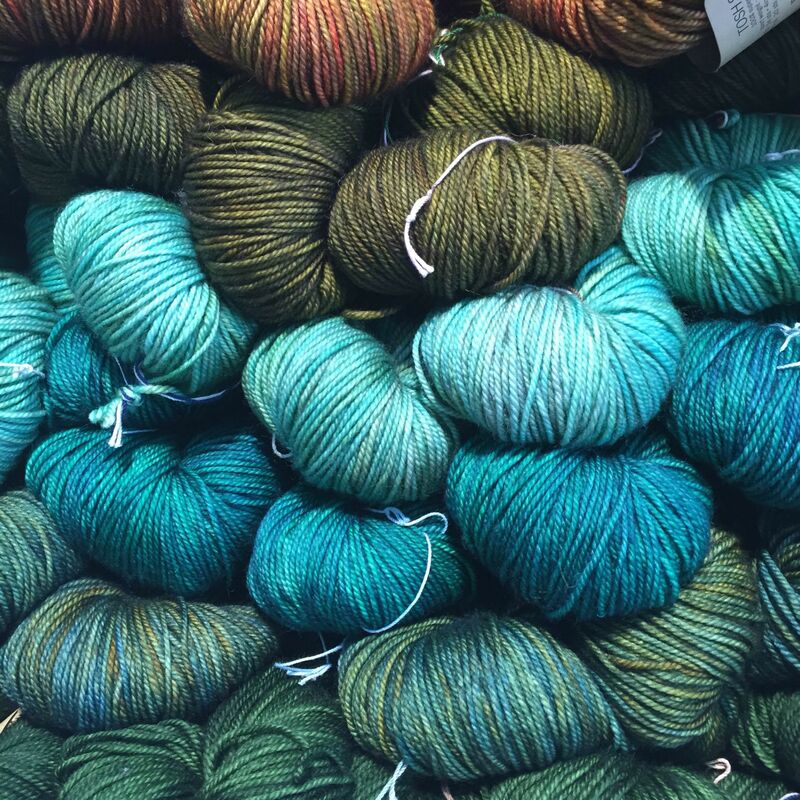 They had some beautiful – and breathtakingly expensive – yarns such as tussah pure silk at $58 but also a huge range of Madelinetosh. This one of my favourite yarn companies and I have a lovely Baktus scarf that I made with a single skein of their Pashmina silk/merino/cashmere blend. 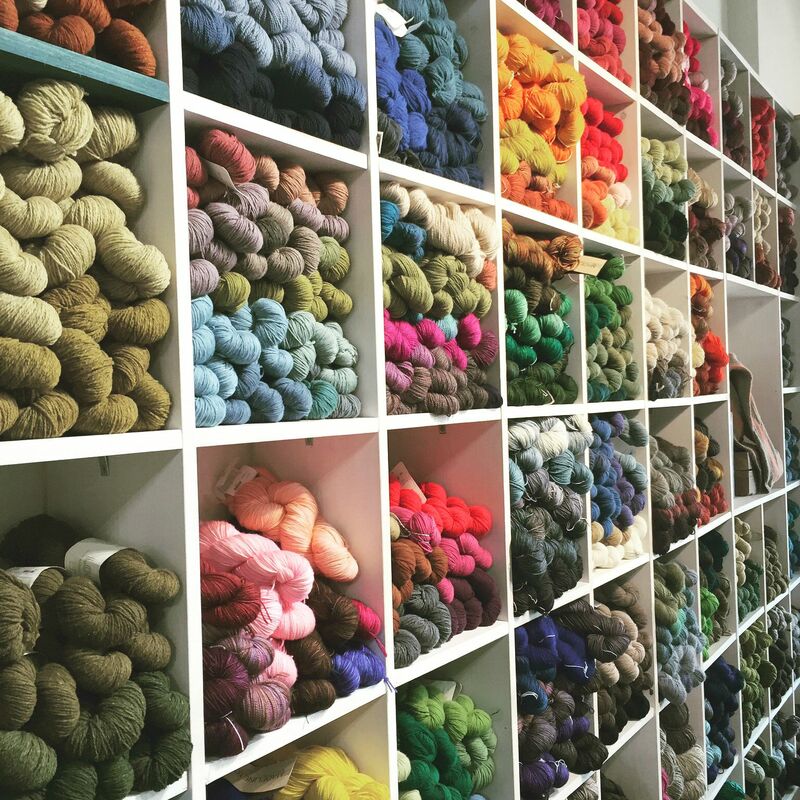 Their amazing colours are produced in small batches with organic dyes, the undyed yarn is ethically sourced and the company started with one amateur called Amy selling some of her spare hand-dyed yarn on Etsy in 2006. It is yarn so lovely it makes me want to open a yarn shop even though I’m such a basic knitter. But it’s hard to find in the UK, never mind Scotland, and the exchange rates and cost of importing it mean that it’s expensive. So finding that A Verb For Keeping Warm had so much of it and that it was two-thirds the price was wonderful. The staff were great too – really helpful. I came away with skein of chunky and another of sock yarn. I’m not sure what to do with the latter but the chunky is going to be this garter stitch cowl as basic as it gets but it will be perfect holiday and plane knitting* as it requires no mental effort. 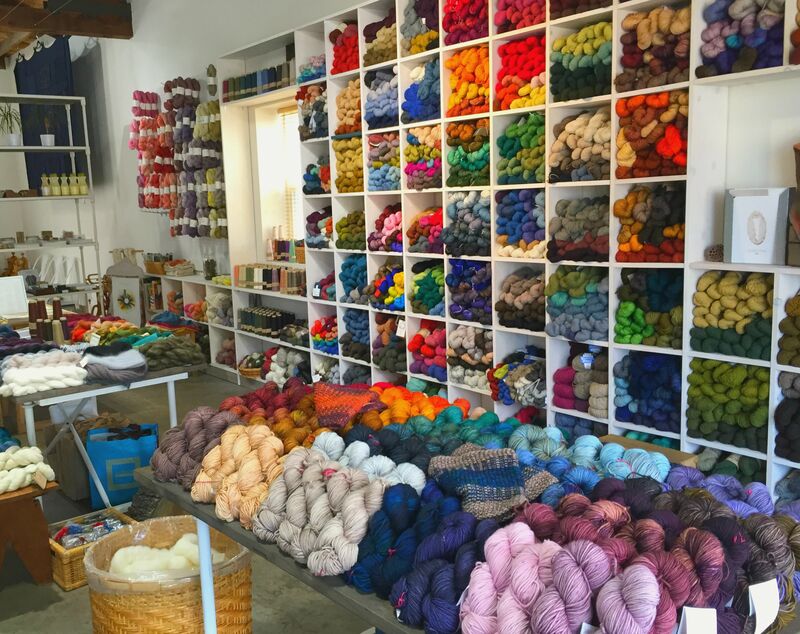 I have no doubt that there will be more yarn shops to come but this was an excellent start to Californian yarn-hunting season! Oh, and they sell wonderful fabric for patchworking etc and I barely looked at those so I’ll definitely need to return before we head back home. This entry was posted in Places to go and tagged California, Madelinetosh, yarn, yarn shops. Bookmark the permalink. I’m interested in your earlier post ‘Sunshine between the Showers.’ The house was built by my great-great-grandfather; my grandmother grew up there and I have many happy memories of visiting my cousins there until it was sold by the family in the 1980s. Archibald Smith took his wife’s surname, Sligo, and added it to his when they married. You will be pleased to know that the house has several literary connections, both directly and indirectly, and that I have several of my grandmother’s books which she owned as a young woman there. 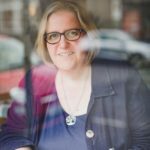 Hi – thanks so much for stopping by and how fascinating to hear that you have personal memories of Inzievar. If you’re in Edinburgh or Fife anytime I’d love to buy you a coffee and hear about your memories. That’s a fascinating link – thanks. And if you’re here do let me know. I could show you round the estate and you could see how it’s looking now.